Gooseberry is called as Amla in Hindi and as Nellikkai in Tamil. 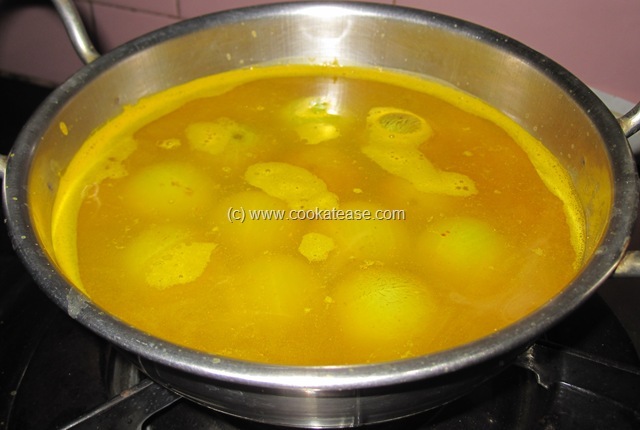 I use Nellikkai to prepare Nellikkai Pachadi and Nellikkai Thokku. 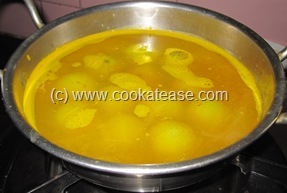 Here is Neer Nellikkai an oil less, spice less pickle with Nellikkai. This is a traditional pickle prepared from olden days. 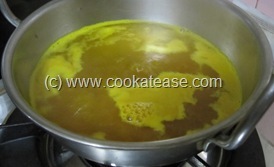 It is easy and takes less than ten minutes to prepare. During gooseberry season, it is prepared in almost every home. 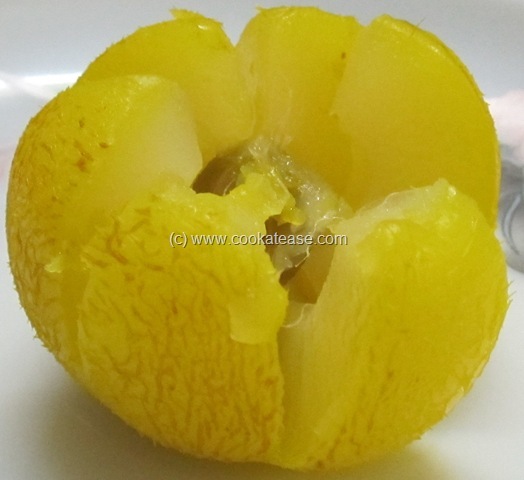 This pickle is good for patients who cannot eat oil or spice. 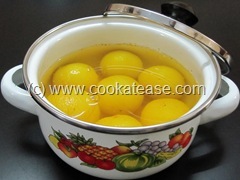 Wash and keep gooseberry; boil water in a pan; when water starts boiling, add salt, turmeric, asafetida powder and mix. 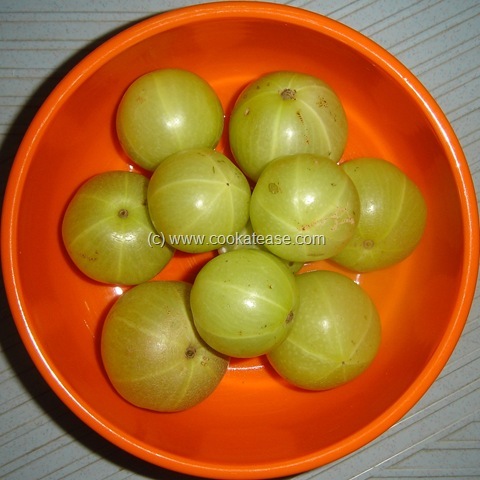 Add gooseberries immediately and switch off gas; close with a lid and keep it for cooling; after 4 to 5 hours, you can start using Neer Nellikkai; if you keep a gooseberry in between your fingers and press it lightly, it will start opening up and the seed will try to come out. Oil less, spice less Neer Nellikkai is ready. 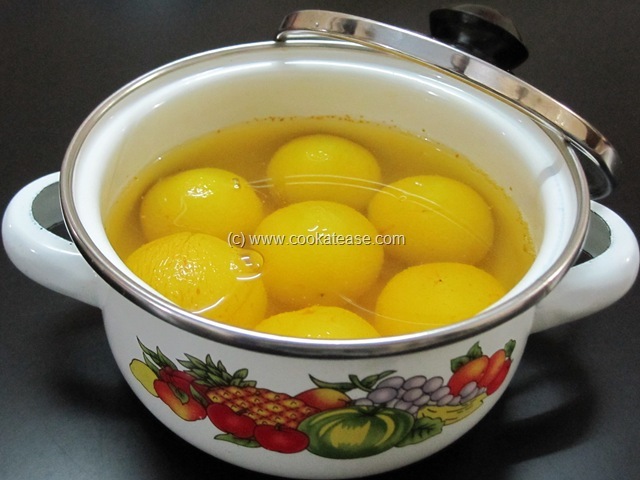 Take care that gooseberries are immersed fully in water. 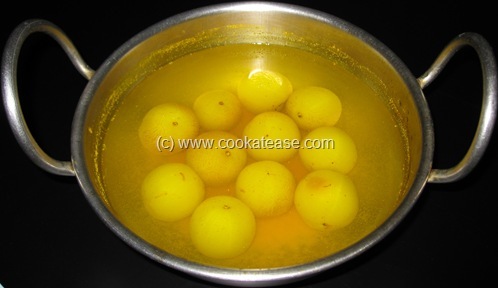 The water in which gooseberries are immersed can be added in butter milk/curd rice to get nice flavor. 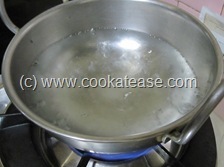 Avoid preparing this pickle in large quantity; prepare in small quantity to last for two or three days. Wow.. this looks so yummmmm perfectly nostalgic..